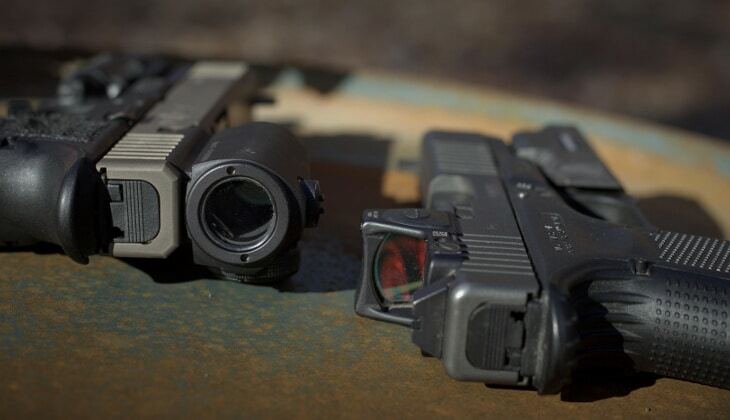 Competitive shooters, the military, hunters and nearly everyone who enjoys shooting as a sport have found that the best red dot sight revolutionizes the way they take shooting. With increased speeds and high accuracy, the red dot sights beat magnified scopes and iron sights hands down. There’s a need for paying attention to the attributes that each of these brings forth. We have filtered the market and acquired the best optics to bring you these red dot sight reviews.This comprehensive list looks into the performance and features of the highest ranking. Let us first delve into the features on what to watch out for when looking to purchase the best reflex sight. 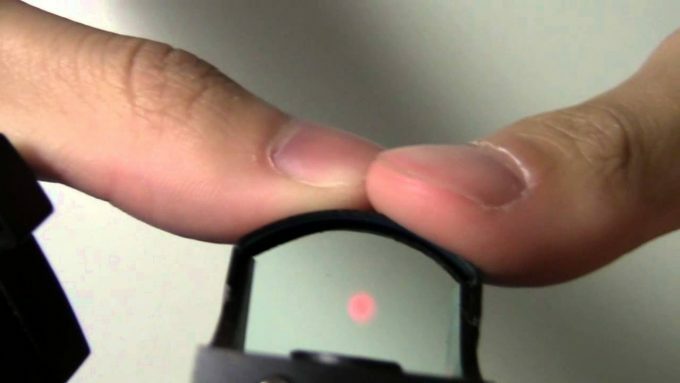 These are the most common red dot sights and usually, carry a red dot. It has no magnification, and the aiming point comes from a point behind the objective lens. This aiming point is then projected forward to guide the user to the target. These sights use a laser light to replicate the image on the reticle. The mechanism is basically similar to the reflex sight only that the components are recessed and what you see is just a frame. They can use either a single red dot or a large circle on the reticle. These models use a visible laser light that bounces from the target back to the user. One can easily adjust the windage and elevation with much simplicity. They need a lot of power as they are usually affected by reflective surfaces and atmospheric conditions. Before we dive into any specific items it tends to have a good idea of some key features for red dot sights. As you look through each of these, you’ll want to think about your shooting style and particular needs. These sights may have either a single pattern or multiple patterns. Do you need to adjust the settings of the optic to cover different situations or is one style perfect for you? One red dot works well with serious shooting where one faces everyday danger without the luxury of making quick changes. You’ll want to have a full view of the target and not part of it. Look for models that allow you to see what is happening in the background. This feature is important for persons in dangerous game hunting and active combat. How do you want to utilize your sight? Do you need many light settings for both day and night mode or not? How long do the batteries in your sight last? Do they require constant changes? Long battery life preserves the adjustments on the sight for long such that when you need to use it on a whim, it will serve its purpose in an instant. Now that you have a bit of knowledge on red dot sights in general, let’s take a look at some of the best options for competitive shooters. These are our list of the top choices, but you’ll want to keep your particular needs and shooting style in mind when considering each. The Patrol Rifle AimPoint PRO Optic stands for the top reflex sights on the market. You’ll never go wrong with this choice. It represents resilience for standing up to the most demanding situations that there is of today’s self-defense. If you are out for an effortless optic, this one is a simple dot which picks the target fast. Your eye can easily read it, allowing accuracy for aiming at all distances. 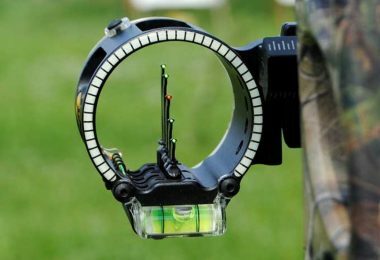 The pattern on the reticle is unchangeable meaning it is a high-grade product reliable for managing man-sized targets. It also carries incredible illumination with six brightness settings for day and four settings for use with night vision. When it comes to sighting in, it allows for easy windage and elevation settings with ½ MOA per click on the turret. It can be a bit delicate to make the corrections, but users indicate using a coin works better. After you have zeroed in your optics, it does not shift; hence you have high chances of making an on-point shot on the first aim. All in all, this is a versatile Sight, durable and ready to take on the harshest conditions. It features simple mount/unmounts, a full field of view and maintains zero with free parallax. It carries battery change and in service reminders, to make maintenance and inventory tracking easier. Most of all, the great price makes it even more attractive if you are on a budget. Related: You’ll love the Aimpoint Flip-Up Sight Lens Cover and the Aimpoint Kill Flash ARD12239 which fits in the lens cover. These two units work hand in hand to reduce the glare; hence masking your position. 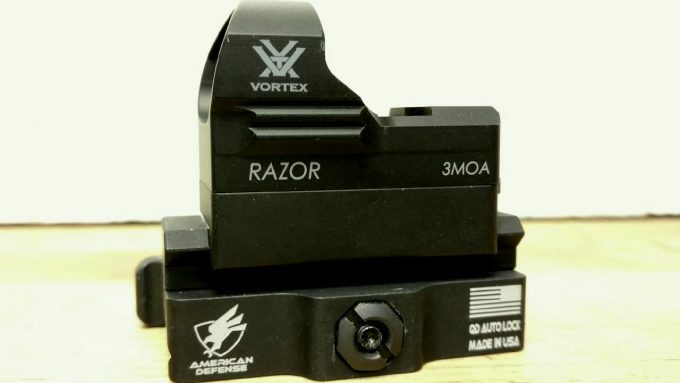 The Vortex Optics Sparc represents one of the lightest sights there is. The manufacturer; Vortex Optics knows too well the conditions of modern-day shooting that is why they incorporate high–quality features under $200. 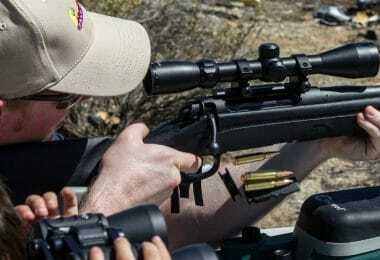 Any shooter will appreciate working with the best sight in its class for super-easy target range or real life shooting. It has a fully multi-coated lens that allows optimum light transmission for use in low-lit environments. You’ll also love the air-to-glass surfaces which carry multiple anti-reflective coatings, adding to the illumination capacity of this sight. All the glass parts are fog proof; you can use it in humid conditions in its full abilities. You’ll grow fond of the 2MOA reticle which is parallax free and allows use with both eyes open. The pattern is bright in both daylight and dim conditions. It carries ten brightness intensity conditions with two purposed for night vision devices. This Sight utilizes a multi-height mounting system, that is; a low-mount, high mount and a spacer to accommodate a variety of rifles. The spacer allows mounting on AR-15s while the other two provisions make for Picatinny and Weaver bases. You’ll like the encasing which protects the battery from overheating even in scorching weather. The ON/OFF controls are digital and face the rear, making it easy for fast switching. 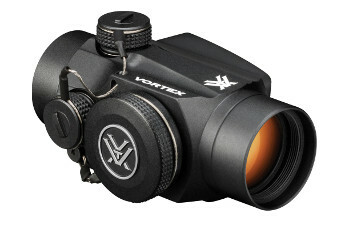 Related: If you love the outdoors you’ll love the Vortex Optics Diamondback 12×50 Binocular. It adds to interesting observations of the outdoors thanks to the large objective lens plus high magnification. It is also waterproofed since it carries an O-ring seal. It has a multi-layer prism to enhance the light transmission for full-color fidelity. The Ultra Dual Shot Sightmark Pro is an inspiration from military and law enforcement technology. Therefore, you can already tell the quality it exhibits is high grade. It features numerous applications including tactical, hunting and competition purposes. This sight has two ways of dialing in. One way is through the standard dual glass pane with mirror-like clarity. This method together with the four possible adjustments on the reticle patterns, it makes it suitable for taking aim on moving targets even at close range. The other way is through the red laser which mounts to the side, thus, acquiring the target is also quick when using it in night mode. It carries adjustable brightness settings; NV1, NV2, 1-3 for both daylight and night use. It also carries 632-650nm wavelength on the laser, allowing maximum clarity when using the night mode. After sighting in, this sight holds its zero due to the internal interlok system. The interlock keeps it stable against heavy recoil for up to 600g while still maintaining its zero; hence it can make multiple accurate shots. The adjustments also include 50MOA for the windage and elevation at 1MOA per click. It carries a CR-1632 type of battery which offers 25 hours on brightest setting on the reticle and 180 hours with minimum brightness settings. The 3V on the battery allows it to stand extreme heat and since the operating temperature is 40-120 degrees, it is best suited for such conditions. It carries a digital switch for prompt powering and a weaver quick detach system for quick adjustments to the existing situation. This sight comes with adjustment tools for fast working. It also carries a lifetime warranty which covers the user for repair and replacements. Related: To increase the magnification range, we suggest investing in the SightMark 7x Tactical Holographic/Reflex Magnifier. It comes with multicoated optics to improve target acquisition for close to medium range shooting. It is a lightweight, weatherproofed unit that complements your hunting gear. The Xwin Tactical Red Dot Sight is the most reasonably priced red dot optic out there. This cost does not compromise on quality, as you’ll see it bears the same features offered by big names on the market. It carries four patterns on the reticle together with a 33mm lens which allows flexibility in fast target spotting. The reticle also provides a choice between green and red sighting. This technique gives one a choice for covering different environments while maintaining color contrast against the target. It supports a wide field of view at 15.8 for every 100m which makes it suitable for unpredictable conditions. When sighting in, the reticle allows unlimited eye relief and corrected parallax. The 1MOA per click gives fine windage and elevation settings which make it easier to zero in and make an accurate point of impact. The corrected eye relief comes in handy when using rifles which feature high recoil to enable it to maintain its in-range target. It also carries a switch in the rear, for making quick changes even on the go. The point of impact also remains unchangeable, since it has a robust exterior protecting it from high recoil. It also mounts low on the rifle, helping it keep its stability so that it can take excellent repeatable shots. If you are in unpredictable environments, you will not fumble with switches as has an adjustment knob at the far rear where it is easily accessible. More so, this red dot optic features an aluminum housing securing all the compartments. You’ll like that is super light to perfectly fit shotguns and other rifles where weight is a significant consideration. Related: Take along the Feyachi 10×50 Binocular with an internal rangefinder. It is an incredible accompaniment to help you make the most of your hunting escapades. With the rangefinder, you’ll never miss a target at mid to long-range aim points. You’ll like it even more for the lens system and BAK4 Prisms which give you full color and high contrast. AimPoint 2 Minute of Angle is a uniquely designed model with a military grade red dot optic. It features sixteen brightness settings with nine for daylight use and seven for night mode. Note that one brightness settings are extra-bright. With it, the eye readily acquires the target at any setting. The lens carries a distinct coating which accurately reflects the red light of the dot’s selected frequency at virtual 100% possibility. This configuration allows for optimum brightness, using minimum energy. You need to no longer worry about On Target Acquisition since this Sight carries 2MOA on the reticle for both close and long range combat. If you feel you need to add magnification to this sight, it affords compatibility with the 3X Magnifier Module. The eye-relief is infinite for fulfilling on target shots consistently and comes with an anti-reflexive optical coating. The coating gives perfect illumination without glare in bright light and allows maximum light transmission on night vision devices. The mounting features of this sight are also exceptional. It includes a QRP2 and a standard AR 15 spacer. Now you can securely lock it on Weaver and Picatinny rails where it does not need mounting rings to stabilize. You’ll like the matte, black polish which adds to the anti-glare capacity of this sight. It keeps out debris and dust quite efficiently; hence it can handle rough terrain and other uncertain shooting environments. This sight also comes with MILSPEC standard rubber lens covers. It exhibits all the qualities that state longevity on it. This is an upscale sight with a competitive price for the high-grade qualities it shows. Related: The outdoors can sometimes be dazzling giving you a hard time when acquiring the target. Include the Aimpoint ARD Flip-Up Lens Cover to reduce glare and mask your position. You’ll like that it fits correctly on this Red Dot and is the same black matte finish. It has a durable construction lightweight and very portable. The Burris Fastfire III Sight is the best use of shotguns and handguns. Burris realizes the need for high-quality optics on the sight that is why they utilize a 3MOA on the reticle for precise target acquisition. It is LED illuminated, and you can choose from four intensity settings according to the lighting conditions of one’s environment. With a single switch system, operating it is much easier. 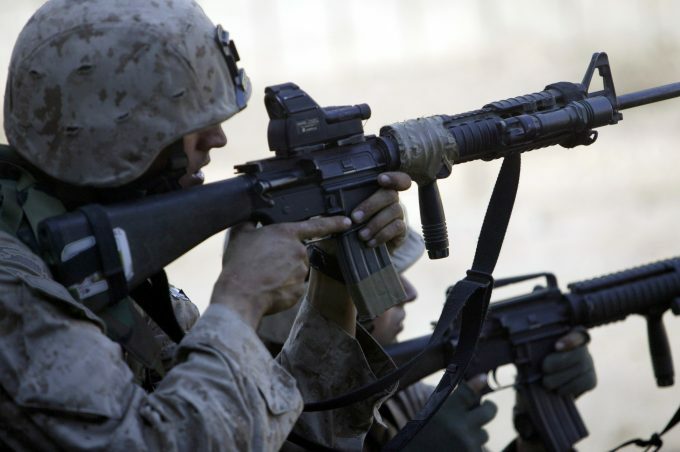 When it comes to acquiring the point of action, the operations are smooth with quick windage and elevation adjustments. It covers unlimited eye relief and is parallax free. These aspects allow it to keep its zero against high recoil in shotguns, handguns, and rifles. It maintains a full field of view and the user can always stay conscious of their environment. This Sight carries versatility in the mounting since it can accommodate any weapon when mounting directly, or lock instantly on semi-automatic rifles. It incorporates top-of-sight battery access where it is readily available for making quick changes and fast powering up and off. It comes with a detailed manual plus all the necessary tools that make it function as well. The components are contained in a sturdy frame. The encasing makes it water and fog proof and since it is lightweight, one can use it to acquire a low profile on rifles assisting in balance. In a nutshell, this sight is very affordable and offers the best qualities among other sights in its price range. With automatic brightness intensity settings, it also allows a wide variety of other simple adjustable settings. Related: To mount this sight, we highly recommend using the Burris Mnt Fastfire Picatinny rail. It allows mounting the Sight at a low profile so that it can retain the settings you input when taking consistent shots. It can take on the harshest conditions which include bumping in rough terrain. 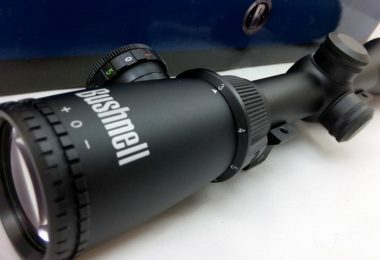 The Bushnell Trophy TRS-25 aims at working with hunter’s rifles which present a level of complexity in the field. 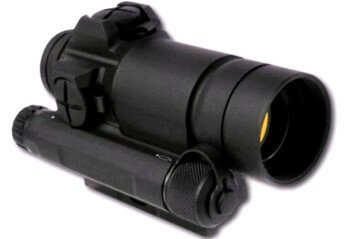 It carries amber-bright optics to make color distinctions between targets easy. The optics are also multicoated which most hunters will find useful when maneuvering thick fog and dark thickets. It allows better viewing due to the better transmission capacity and high color contrasting that comes with multi-coating on lenses. The reticle features an exquisite red dot circle, which receives LED illumination. It carries a control knob that applies resistance so that one does not accidentally turn on the knob or exert changes to the intensity levels. The polished finish allows maximum light to pass through with minimum glare effects. The sighting in is uncomplicated as it is free of parallax and offers unlimited eye-relief. One can still use both eyes to sight, and this sight eliminates the need for centering since it follows the human eye when acquiring a target. It utilizes 3MOA on the reticle with great elevation and windage settings. You can use a coin to make the clicks. This way it remains stable and unchangeable. This sight mounts very low on rifles. After you have acquired the zero, you can take consistent shots since it is resilient against bumps. It can take on guns with heavy recoil without shifting the mounting position. It is also robust enough to maintain zero when reinstalling to another rifle. The CR2032 battery that this Red Dot Sight utilizes minimizes energy use, giving the user a long battery life. The housing is quite satisfactory with a nitrogen-filled frame, making it fog and water-proofed. It is, therefore, feasible in extreme weather conditions. The finish is polished black, an aspect that aids when camouflaging in deep thickets. This Sight is not only affordable but also versatile with easy operations. Any hunter will find it reliable for taking on moving targets and rough terrain. You can easily maintain your sight through cleaning of the lenses and switch off the battery to conserve energy. This way, you maximize the longevity of the sight. Related: You’ll want to take the Bushnell Personal BackTrack D-Tour GPS Tracking Device. It’s easy to get lost when you are not on familiar grounds. 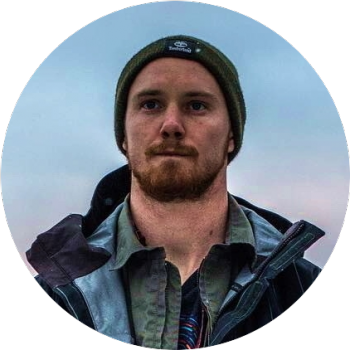 Having a GPS tracker with you is only the first step towards finding your way out and away from danger. Also, there’s a great Bushnell Trophy Cam which helps you strategize on the hunting adventure beforehand. It can take photos and record videos to help you track animals with knowledge of their grazing and feeding patterns. 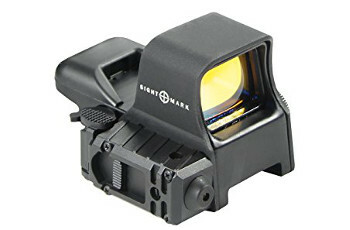 The RioRand Generic Holographic Sight is the most affordable sight showcasing faster speed for red dot sights in its price range. The sighting is excellent with infinite eye relief and corrected parallax at 1MOA for every 80 yards. It allows for quick elevation and windage adjustments at 30MOA for every click. It carries a locking screw which keeps the changes at par, able to remain unchanged after removing or re-installing the sight. Its red dot is sharp and definite, readily seen by the eye. With three different reticle patterns to choose from, one acquires the flexibility to sight in according to their immediate environment. It carries multi-coated lens, where it channels more light in low lit environments. One can use it in night mode, and it still gathers as much light as possible. It carries one 3V CR 2032 battery. With the ability for use in sweltering heat and through winter seasons, this sight is housed in an aircraft grade aluminum alloy which protects it from weather extremities. You’ll find that it conserves more energy than most sights; hence the battery affords longevity to the user. It also comes with an anodized frame protecting it from corrosion and rust. It can also take on humid environments since it is fog and water-proofed. 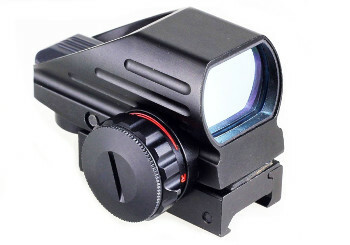 When working in harsh territories where there’s need for the user to blend in the environment, this red dot sight carries a matte black finish; it does not reflect light back to itself, reducing glare. This sight is lightweight; thus it does not add bulk to the rifle. You can maintain consistency while taking shots since it increases both speed and accuracy. As a result, one is at an advantage in places where there’s need to make split-second shots. Its price presents the saying; cheap is not always poor quality in a better light. Related: For a backup system and an added level of accuracy you should consider Beileshi Laser Standard Weaver RailBeileshi Laser Standard Weaver Rail. 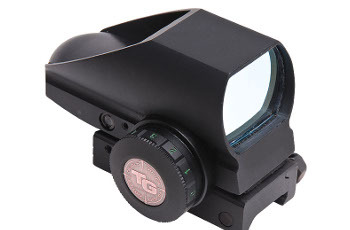 This mounts below the red dot sight and adds a targeting laser to your shooting. The Truglo Tru-Brite Dual Color is the ultimate choice for serious shooters. It is fast and reliable, with features that reflect a well-thought-out sight. It has simple operations to maximize its use in the field. Its technique draws from the need to keep the shooter safe and alert when dealing unpredictable situations. With anti-reflection coating on the lenses, there’s improved contrast, and you can deduce the size and type of target you are engaging. The coating also reduces stray light producing a clear visual in dim environments. It also reduces glare when there’s need for one to blend in with the surroundings. The lenses repel dust and grease, making it always ready to go with minimum maintenance while performing at great capacity. 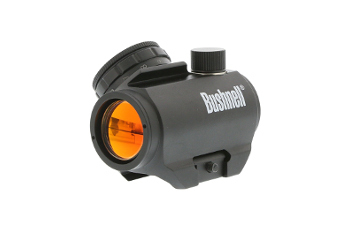 With the low magnification, you also gain a wide field of view for picking up targets at close range. You’ll like the two choices of color on the reticles which also add to the functionality of the scope. 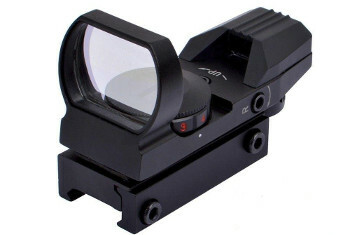 The red dot is best suited for daylight devices, and when you switch to green, you can use it in night mode or adjust it to give high distinction between the target and their background. The illumination is also perfect from the bright LED, and you get to make four different choices on the reticle dot. One can adapt the sight to keep up with the demands of their current environment due to the versatility in reticle color and dot. Sighting in is much easier since it carries unlimited eye relief and is parallax free from 30 yards. The elevation and windage adjustments can be made with easy clicks. After one zero in their sight, it holds on to it such that after taking continuous shots, you can be sure that it will always be at the point of impact. When it comes to mounting this sight, it features a weaver style. This enables fast switches between rifles and gives the gun a low profile. You will be awed by how well the rheostat provides for certain brightness setting while providing security against accidental changes which would be damaging to a real time situation working. The components are encased in a shock and waterproofed frame. This allows one the flexibility to work in most environments even when at odds with the weather. It can withstand numerous abuses as such; it is built for durability and high performance. Holds zero for taking consistent shots. Related: The battery life on this unit is not the very best. It would be great if you invested in the Truglo 2-Pack Cr2016 Battery. It complements this device such that you can use it for extended hours when you need to be out in the field. You can also invest in the Truglo Tru-Lite Sight Light for use when you want to distinguish targets. It emits a violet light which is easy to turn ON and OFF. Being on the lookout for the best red dot sight for the money will help you maximize your full potential in shooting. We want you to own the best, and we believe this review will work to emphasize the need to consider the most valuable sights for your requirements. If you feel that quality is reflected in the price, we have covered both high priced and economic sights that show the capacities of both. Remember to do your research in reliability and quality if you hope to increase your chances of landing the best choice. And let us know which option you went with in the comments section below.